Here it is July Fifth, but it feels very much like July Fourth because last night's fireworks were cancelled due to rain. So they're showing them tonight. 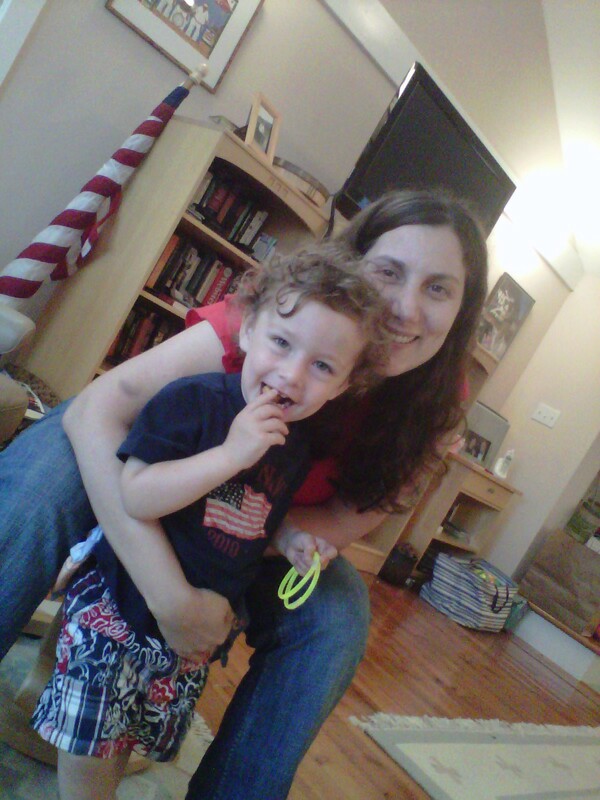 So far, we have celebrated July Fourth like my children celebrate their birthdays - which means that a one day holiday has been stretched out to several actual days and to what feels like to me, conservatively speaking, several eternities. There were days of red, white & blue outfits. Yes, even I made sure I had on my red shirt and blue jeans. There were days of red, white & blue treats. Yes, that is the red, white & blue sandwich I made them for lunch. 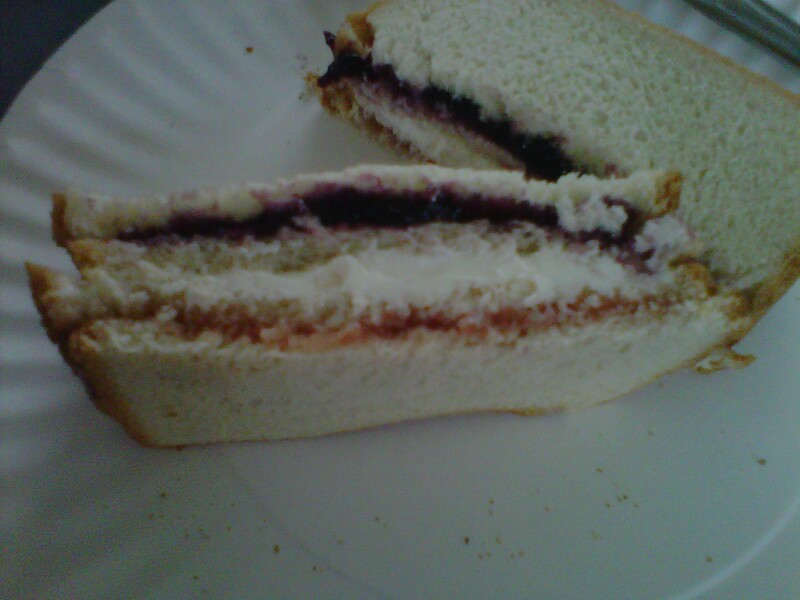 A triple decker with strawberry jelly, cream cheese and blueberry jelly. And, my stars, there were night after night of fireworks. Late night fireworks. When did this happen? Remember when Halloween was one day, not the entire month of October? When did the whole Fourth of July sprawl begin? And more importantly, when will it end? And now, if you'll excuse me, I have a fireworks show to attend. I love my country, but please, let this be the last celebration for awhile. Happy 4h, I mean 5th of July! Seriously, no more celebrations for awhile. I'm pooped too. LOL! Great post and you're so right. I think the fact that it was such a long weekend makes it harder. When we just celebrated on the day and did not make it holiday weekends, it was simpler and easier. Nice meeting you, great post. I'll be back for more. That sandwich looks yummy! Glad you had a good long weekend! You really do go all out! I'm impressed with the sandwich! Clever! I know what you mean, love the sandwich idea! um, that sammich? i could eat it in ONE bite right now! I just saw that sandwich. What a great idea! My daughter has been asking for peanut butter and cream cheese sandwiches. I wonder which holiday I can attach to that? The endless holidays go along with the endless birthday celebrations: the "at home just family" bday, the "party with friends" bday, and then usually "please bring in cupcakes to school" bday...I love my kids dearly but seriously? Do they really warrant a three or four day celebration? Frankly, it's MOI (and TOI) who deserve multi-day worship...not them!